With the rapid growth of the “as-a-service” business model and the abundance of new services enabled by the Internet and mobile apps, it’s fair to say that there has been a major mindset shift in the monetization of new businesses towards subscription and usage-based billing. It’s easy to forget that other, more mature businesses categories, such as telecommunications, water, gas, electricity, news media and others, have been using subscription and usage-based billing for decades and have built up a substantial amount of experience, knowledge and I.P. in the subject – not to mention substantial recurring revenue streams! 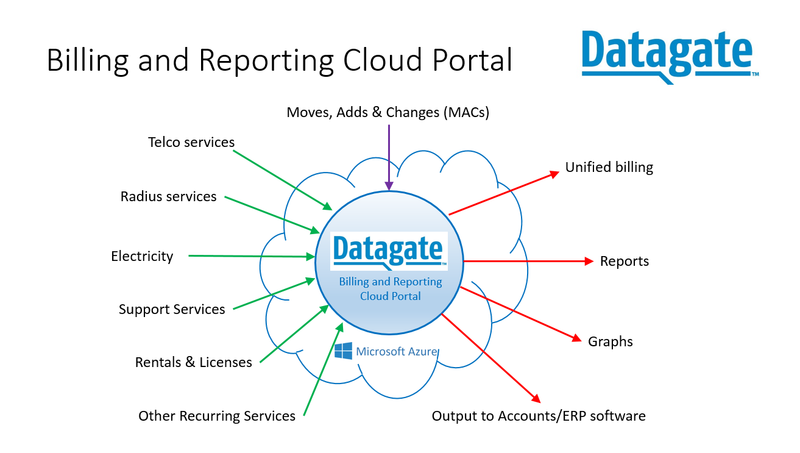 Datagate Innovation’s purpose in life is to help re-sellers maximize and grow their recurring revenue with fixed and usage-based billing, whilst minimize their billing costs through the use of our Cloud-based Datagate rating and billing platform. 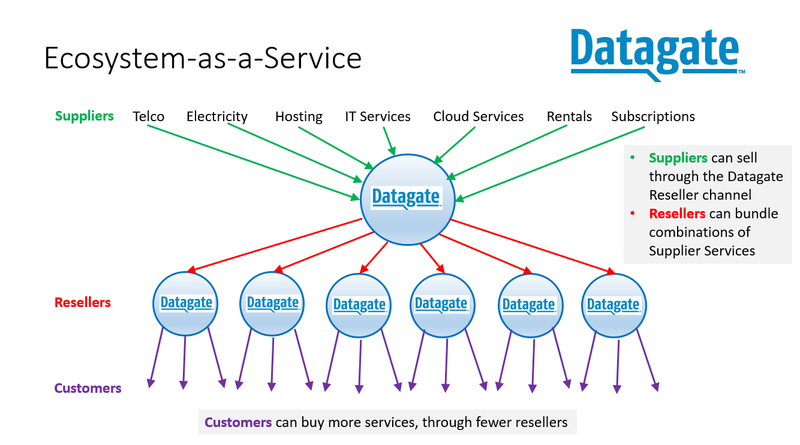 The majority of Datagate’s clients are Managed Service Providers (MSPs) who re-sell telecommunications services and IT services to their business customers, but we are starting to get traction in other industry categories, such as electricity and water, who also work on a usage-billing basis. This month Datagate published a case study for Ranch Hills Water Supply Corporation (RHWSC), who are based in Texas and are using Datagate to bill their water customers on a usage basis. By shifting their billing to Datagate and a usage-basis, they increased revenue by around 26%, while cutting their billing time by around two thirds. Datagate was configured to receive water usage data from RHWC’s Kamstrup Ready Manager system and post the resulting bills to RHWSC’s Xero accounting system, after emailing them directly to the end customers. The big opportunity we see for all service resellers today is the convergence of different types of usage-based services that can all be sold through a single reseller. We are already seeing our clients combine IT and telephony, as well as telephony and electricity. As long as it’s usage-based and we can get access to the usage data, then Datagate can bill it, on a single invoice. I get asked why I stood down from my role as CEO of Enprise Group and diverted my focus and investment to Datagate, which at the time, was the newest and smallest of Enprise’s businesses. The rapid rise of Cloud computing is leading IT Companies of all sizes to shift their business models towards selling services (instead of selling hardware). Subscription service revenue instead of product sales revenue. For IT Companies, this has progressed through selling data circuits, Internet connects and on to SIP / VOIP Telephony. Datagate makes this type of subscription billing easy. Computers and Phones have become one and the same. Businesses of all sizes are deciding that one supplier is preferable to provide their IT and Telecommunications services, because the technologies have merged. A relationship with fewer service suppliers is easier and less expensive to manage, whereas having more suppliers is more complex and costly to manage. Datagate enables resellers to aggregate multiple service types such as Telco and IT services in their billing and portal services. Power companies are starting to sell broadband successfully. At the reseller level, we are starting to see an emerging pattern of convergence between electricity and telephony (at least at the broadband level at this stage). Telephony & IT resellers are interested in selling electricity to their customer bases – essentially it’s just another on-line service to add to data services. Electricity companies are interested in selling broadband and other Telco products. Datagate provides billing and portal services that can combine different services types, such as Telco and electricity. Billing of telephony and electricity is complex. A product like Datagate is needed to make this billing easy. Furthermore, it’s even more complex when you try to mix different service types. Standard accounting and billing systems cannot handle this complexity efficiently. A specialised product, such as Datagate is required. Further to billing, customers’ service expectations are increasing. They expect immediate on-line access to their bills and reports analysing their consumption of services. The large established electricity and telco vendors all offer on-line analytical portals and so have already set the market expectation. Resellers of these services therefore need to offer similar on-line portals. This requirement becomes more complex when the reseller is selling a combination of services, such as electricity and telephony. Datagate is built to handle this requirement. Datagate exists to help IT, Telco & Utility resellers capitalize on the opportunities that these changes in the market are driving. We are experiencing fast uptake of Datagate by resellers in the New Zealand market and we plan to take Datagate to overseas markets, where the same market changes are happening, in the very near future!